Below is my list of baptisms and marriages from the Parish Derryloran Magazine, county Tyrone from 1829 to 1887, mostly McFalls. Notice how the spelling has changed from Falls to M'Falls and now it is McFalls. My mother brought this from Ireland when she went about 1950. 15 June 1830, Jane daughter of Richard and Rebecca Falls Ballygroogan, farmer. 22 March 1831, Margaret daughter of Richard and Rebecca Falls Ballygroogan, farmer. 29 December 1833 son of Richard and Rebecca Falls, Ballygroogan, farmer. 27 Dec 1835, Sarah daughter of Richard and Rebecca Falls, Ballygroogan, farmer. Rev. C. Bardin. 1 June 1838, Mary daughter of Richard and Rebecca M'Falls, Ballygroogan, farmer Rev. Charles Bardin. 10 June 1844, Thomas son of Richard and Rebecca M'Falls, Ballygroognan, farmer. Rev. Richard Oulton. 10 June 1844, Martha daughter of Richard and Rebecca M'Falls, Ballygroogan, farmer. Rev Richard Oulton. 21 Sept 1848, Rebecca daughter of Richard and Rebecca M'Falls, Ballygroogan, farmer. Rev Richard Oulton. 23 Sept 1876, Maria Jane, daughter of William and Eliza M'Falls, Ballygroogan, farmer, By the Rev. F Crawford. 2 May 1878, William John, son of William and Eliza M'Falls, Ballygroogan, farmer. By The Rev. F Crawford. 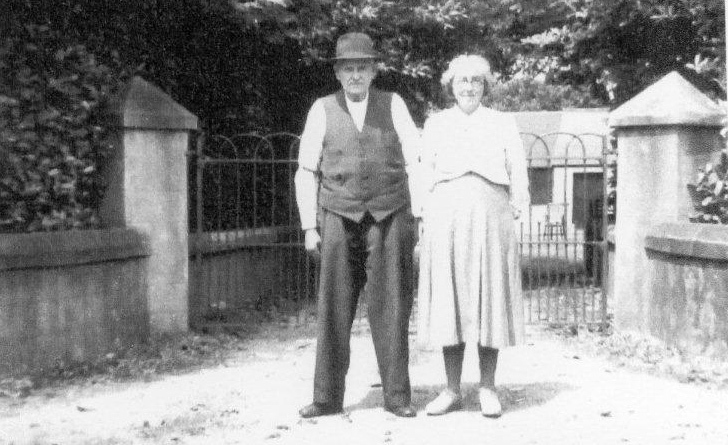 15 September 1880, Robert James, son of William and Eliza M'Falls, Ballygroogan, farmer. By the Rev. W. Glen. 9 June 1884, Mary Elizabeth, daughter of William and Eliza M'Falls, Ballygroogan. By the Rev. W Stokes. 2 Febuary 1889, Thomas George, son of William and Eliza M'Falls. By the Rev. B Martin. 13 July 1829, Richard M'Falls and Rebecca Milliken, Ballygroogan. By the Rev. James Maulverer, Curate, in the presence of John Milligan and Robert Rutherford. 4 December 1837, James Baxter, Dunean. Co. Antrim, and Rebecca M'Falls, Ballgroogan. By the Rev. Charles Bardin, D.D. In the presence of John Grey, Thomas M'Alister and Isaac Wylie. 6 February 1838, John M'Falls, Ballygroogan, farmer, and Margaret Millikan, Ballylgroogan, by the Rev. Charles Bardin, in the presence of Robert Milliken and Patrick Graham. 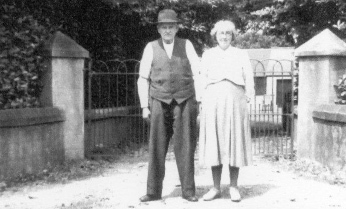 8 January 1857, Edward Hall Shivery and Margaret M'Falls, Ballygroogan, By the Rev. John Phillips Bushe. Curate. In the presence of John Willson and Micael Milliken. 3 March 1872, Robert M'Falls, Ballygroogan, farmer, and Rachael Moffitt, Moveagh, by the Rev. C Barker, Curate. In the presence of William M'Falls, and Robert Moffett. 8 February 1872, Joseph Moorhead, Dromard, son of Henry Moorhead, and Rebecca M'Falls, Ballygroogan, daughter of Richard M'Falls. By the Rev. F Crawford, in the presence of William M'Falls and William M'Alister. 25 November 1875, William M'Falls, Ballygroongan, son of Richard M'Falls, and Eliza Best, Knockaconny, daughter of John Best farmer, by the Rev. F Crawford, in the presence of John Best and Lizzie Carleton. 1846 Jane M'Falls, Ballygroogan, aged 17 years. 1846 Margaret M'Falls, Ballygroogan, aged 15 years. (The above were confirmed by His Grace Lord John George Beresford). 1849 William M'Falls, Ballygroogan, aged 16. 1852 Sarah M'Falls, aged 17 years. G.F.S. Presentation to Miss Mann. At their weekly meeting on Monday 23rd March, the Derryloran members of the G.F.S. had a very special and pleasant surprise for their Secretary, Miss Mann. A large number of the members were present on this occasion to take part in an event which marked the esteem in which their Secretary was held, and to show their appreciation of the continued interest in the G.F.S. always evinced by Miss Mann. In making the presentation, Mrs. H. Devin expressed the good wishes of all the members of the Derryloran Branch of the G.F.S., and voiced their sentiments of gratitude to Miss Mann for her sustained devotion to the cause of the Society, over a very long period of years. The preset was in the form of valuable Old Bleach hand painted linen. All congratulated Miss Mann as the recipient of this token of high esteem from the members of the G.F.S., who attended her class through the past season.